I love it when I get referrals from clients. 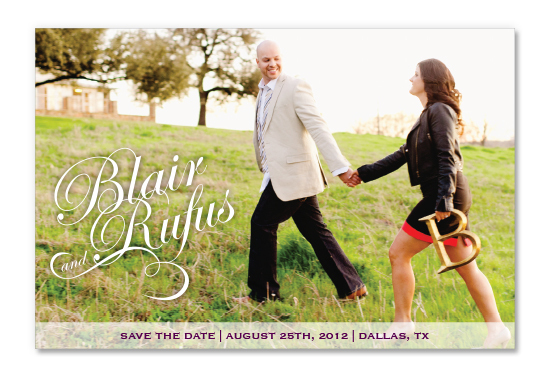 That’s how I met Blair and Rufus and had the opportunity to design the save the date and invitations for their beautiful Dallas wedding. Blair knew she wanted to use her soon to be initial, “B” as a theme for the wedding so I used that as a starting point for the design of her wedding suite. 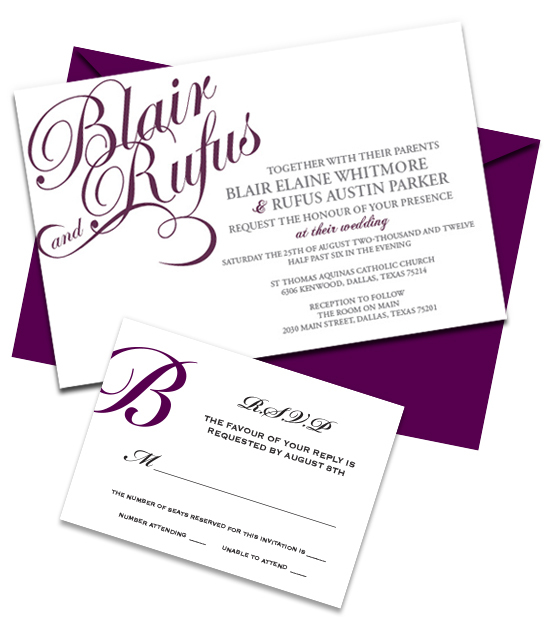 The final design was beautiful and classic, printed on luxuriously thick classic crest paper accented with the bride and groom’s names in purple script with coordinating RSVP cards.